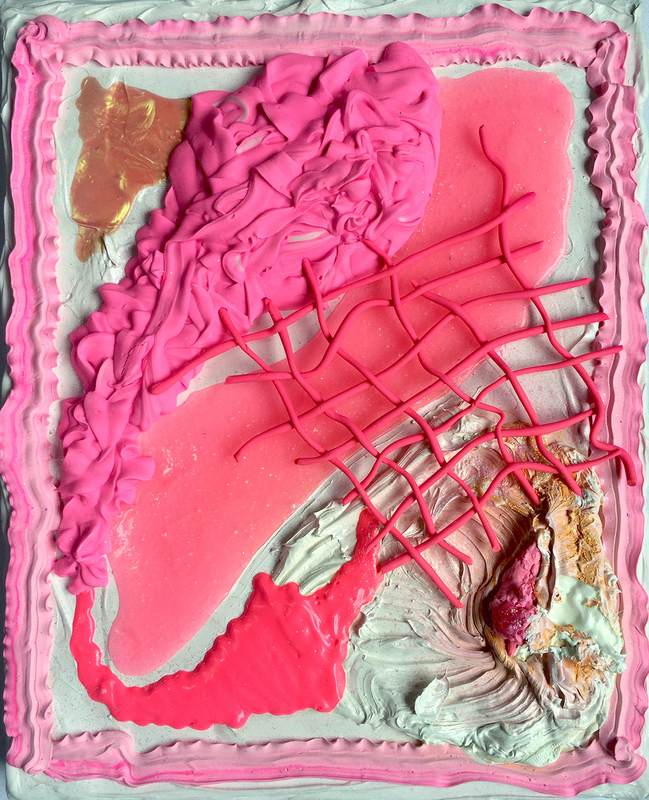 These paintings are a result of careful research on the color pink, archived digitally in a blog started in 2012 for a thesis I was working on. Over the last 2 years each painting has become more delicate and sculptural in form. I have worked on creating pieces that take you into a vortex of hyper-surreal landscapes and an alternate universe where fun is mandatory. This series, which is currently untitled, began in 2014. Each painting is 8x10in, and materials vary from acrylic paint, to oil paint, caulk, nail polish, clay, foam, and glitter.